If you love travel, love the planning process, and enjoy helping others have great experiences, you might consider starting a travel agency. This article is part of our Travel Business Startup Guide—a curated list of articles to help you plan, start, and grow your travel business! If you’re someone who loves travel, loves the planning process, and enjoys helping others have great experiences, you may have considered starting a travel agency. However, starting a travel business is a bit of a mixed bag. On the one hand, a travel business can be fairly inexpensive to start, and you can often get away with limited staff and little upfront cost. That being said, success is largely dependent on finding the right niche in a fiercely competitive market. So, if you want to be successful, you’ll need to put a great deal of effort into your market research, branding, and marketing. If this sounds right up your alley, keep reading. I’ve interviewed several founders of successful travel agencies who can give you the advice you need to get started, and I’ve also included plenty of links and resources to help you work through the process of starting your own travel business. Make no mistake: No matter what industry you’re in, a business plan is essential. What kind of travel business do you plan on starting? If you’re interested in being a home-based travel agent, you’ll want to look into finding a host travel agency, where you’ll essentially be an independent contractor. If this is the type of travel business you’d like to start, the business planning process should be fairly straightforward. However, if you’re looking into starting your own business from the ground up, you’ll be looking at a much more lengthy planning process—but you’ll also have more flexibility to build a business that’s all your own. “In starting ADDISON Yacht Charters, we began market analysis and business planning efforts a full year before we launched the company in November 2013,” says owner Scott Bessette. “During that period, we attended industry events such as regional yacht shows in the Virgin Islands, Antigua, Florida, and Monaco to acquire as full an understanding as possible with regards to what products and services were being delivered to the market, who was delivering those products and services, and who was purchasing those products and services,” he explains. Starting the planning process early helped Scott hone in on his vision for ADDISON Yacht Charters. “In this manner, we determined what our market niche could be, and established whether or not we could compete in the existing market, and what it would take to succeed,” he says. In starting the planning process early, Scott was able to get a clear sense of where he wanted to take his new business, and how to tailor his business to best suit the market need. What kind of plan will you need? The kind of business plan you’ll need to start a travel agency will vary depending on what kind of funding you’re looking for. Are you seeking a loan or investment from an angel investor or venture capital firm? You’ll want a formal business plan that contains all the necessary information on your business. Are you starting a travel agency using your own savings, without seeking outside investment or loans? A lean business plan would be a perfect fit for your business. Even if you do intend to pitch your business idea to lenders and investors, you can start with a lean plan, and flesh out the rest of the info later on. 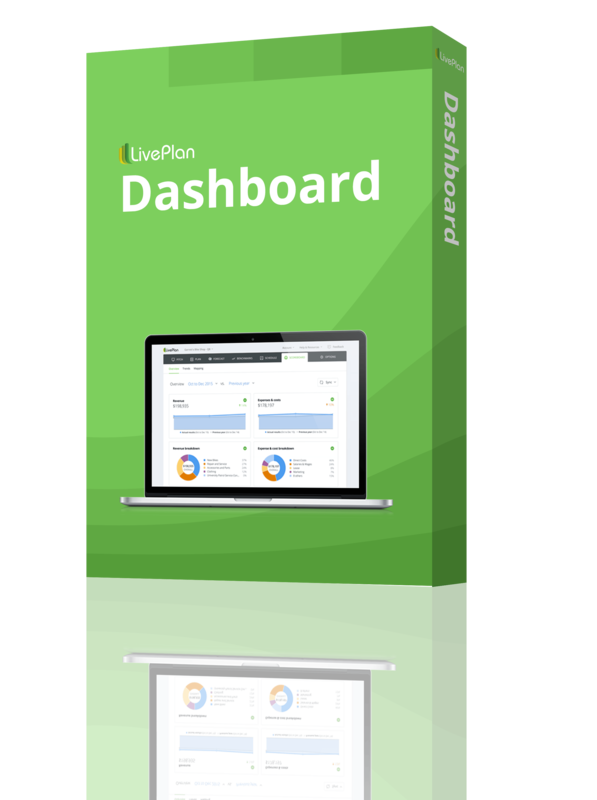 Or, you can turn to LivePlan, which will help you simplify the planning process. Whatever your specific reason for writing a business plan for your travel business, the most important thing is that you write one, period. The travel industry is fragmented, and having a clearly defined niche and a plan will help you stand out. Writing a business plan will help you narrow in on what your goals are, and establish a clear, focused vision going forward. We’ve covered nearly every aspect of writing a business plan here on Bplans, so be sure to check out the links below when you’re ready to get started. We also have several travel business sample plans, which will give you an idea of what your business plan should look like. What kind of travel agency do you plan on starting? Moreover, what kind of travel agency does the industry or your local community actually need? “When you launch a travel business, the most important thing to do is to provide a valuable service,” says Jacquie Whitt, owner of Adios Adventure Travel. This means doing some market research to find out what kind of travel agency the market really needs. Is there a niche you can fill? Maybe there’s an opening in the travel market to provide destination adventure honeymoons for young couples who would rather go backpacking than relax on the beach. Think about the people in your local community too—do they need something specific? What niche are you filling? Start by researching the travel market in general. Find out who the major players are that you’ll be competing against, determine who your ideal customer is, and define what they want. Once you’ve determined what the market looks like and what specific niche you’ll be filling, it’s important to get down to the nitty-gritty of creating a strong brand image. As the travel industry is so competitive, having a well-developed brand will help your business stand out. How do you want your customers to feel when they visit your website, view your advertising, or use your services? Why should customers use your services, rather than just book a trip themselves? What experience can you provide that others can’t? Do you offer unique services, such as partnerships with the locals of your travel destinations, that customers wouldn’t have access to otherwise? Is your selling point the ease of having someone else plan your trip for you, down to the last detail? Are you all about personal touches and a great customer service experience? This is the first step to determining your travel business’s brand strategy—determining who you are. We’ve gone in-depth on how to build a memorable brand for your business, so check out the articles below for more information on branding. Want Customer Loyalty? Build Your Brand. 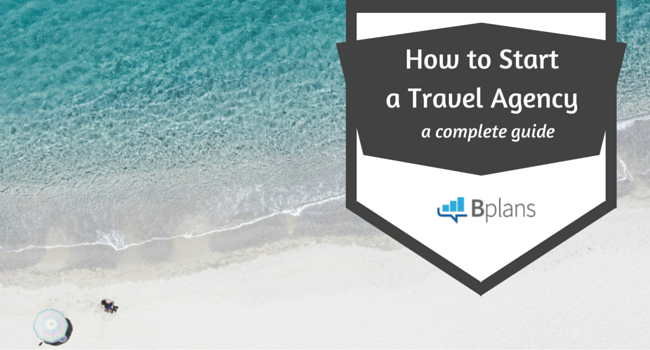 A travel business is, for the most part, a fairly simple one to set up. Unlike starting a brewery or starting a dispensary, there isn’t a lot of legal red tape when it comes to starting a travel business. In most locations, you won’t need any specific licenses or certifications to start a travel business, but specific licensing requirements will vary by state and country. For the U.S. in general, there is no specific license needed to start a travel business; however, state laws vary. In California, Washington, Hawaii, Iowa, and Florida, you’ll need a Seller of Travel license. Canada also has licensing requirements that vary by location, and in the U.K., you’ll need an Air Travel Organiser’s License. Beyond specific licenses, there are general licenses that you’ll need before you start any type of business. However, the business structure you choose will depend largely on your plans for your business, and how you intend to fund it. If for example, you plan to seek outside investment, you may want to look into starting your business as a corporation. You’ll also want to formally name your business, which involves filing a DBA, or a “doing business as.” You’ll also need to apply for a Federal Tax ID number, otherwise known as an Employer Identification Number. We’ve covered these topics in plenty of detail, so be sure to check out the links below. Scott also adds that setting up the legal end of ADDISON Yacht Charters was fairly simple. Do You Need a Travel Agent License? How do you plan to fund your new travel agency? Luckily, your starting costs should be fairly low: You won’t have expensive equipment to buy, and you probably won’t need extensive space in the beginning. However, be sure to have a plan in place for how you will obtain funding. You’ll need funds for marketing materials at the very least; both online, such as your business website, and offline, such as flyers, posters, business cards, and more. Your initial funding budget will also likely go toward any branding or advertising, and you may also decide to rent office space and hire employees, which is a fairly large expense. Unlike many businesses, there isn’t one tried-and-true path for funding a travel business. From personal funds to venture capital funding, it’s all a possibility. Many travel agencies are self-funded, due to the fact that they have low initial overhead and can be started fairly easily (though face stiff competition to stand out). “I didn’t get any funding at all apart from $2,000 borrowed from my dad for the website,” says Brady Hedlund, founder of Life Before Work. However, when it comes to financing your travel agency, angel investment, and even venture capital funding isn’t completely out of the question. “We formed an LLC to start Project Expedition and closed a $300k seed round in January 2015 to help drive the development of our MVP (minimum viable product),” explains founder Jeremy Clement. Don Halbert, owner of Costa Rica Vacations, also funded his travel agency through venture capital. “Funding for this venture came from a venture capital company which would later become one of our primary partners,” he explains. Next, you’ll want to make a plan for the logistics of opening your travel agency to the public. How many employees will you need to hire? You may not need any to start, until you decide to expand your operations. You might also want to look into remote employees, suggests Mike Liverton, CEO and founder of Leavetown Vacations. “While many company employees live and work as home-based ‘Destination Experts,’ our main headquarters are downtown Vancouver,” he says. Additionally, you’ll want to determine where to set up your business location. While foot traffic will likely not be a primary motivator in choosing a business location, you’ll want to pick somewhere that accommodates your space needs as well as reflects your desired brand image. However, as with employees, you’ll find that a physical location isn’t always an absolute necessity. “We have never booked a client from our hometown,” says Scott. “We didn’t choose our business location, we chose a virtual location,” he adds. Whether or not you choose to go this route will depend on your specific niche and brand; however, it’s certainly an option to consider. Marketing will likely be where the majority of your initial funding budget goes, as it’s an important area to focus on when starting a travel business. In fact, it’s a good idea to come up with a marketing plan for your travel agency as soon as possible. For Don, the idea that you must spend money to make money drove the marketing strategy behind Costa Rica Vacations. “Our ‘lesson learned’ in starting up our agency was primarily the realization that your Google Adwords budget can single-handedly determine your success when starting out in this normally competitive market,” he says. Don’t make the mistake of thinking that all your advertising efforts should revolve around paid advertising, however. Plenty of your focus should go into social media marketing and more “guerilla marketing” tactics. “I started out eight years ago running backpacking trips to Thailand, advertising using only lean, guerrilla marketing tactics,” says Brady Hedlund of Life Before Work. “I created an itinerary and website and hit the streets of western Canada to promote my new company.” Since his target demographic was 18-30-year-olds looking for an “adventure party tour,” he went to university campuses and handed out flyers and posted signs advertising his travel agency. Your marketing strategy will, as with all aspects of starting a travel business, be largely dependent on your specific niche, the demographic you are after, your budget, and your bandwidth as a business. That being said, combining both paid advertising with other guerilla tactics (both online and offline) will likely serve you well. How to Start a Travel Agency Business: This article from Startup Jungle is great further reading. How to Start an Adventure Travel Company: This interview with Brian Morgan of Adventure Life provides a detailed look at the process of sourcing travel destinations, and the pitfalls he faced along the way. How to Start a Travel Agency: This article is U.K. specific, but still worth a read even if you are starting a travel business outside the U.K.
Startup Costs for a Home Travel Agency: Delves into the process of becoming a travel agent through a host agency. Tips on How to Find the Best Host Travel Agency: Details how to find the best host agency for you, if you determine that you’d like to go this route.